The UFC and ONE Fighting Championship's history-making trade has officially been agreed to. ESPN's Ariel Helwani reported today that the UFC has agreed to release Demetrious Johnson from his contract to allow him to sign with ONE Championship. ONE has also agreed to release Ben Askren in order for him to sign with the UFC. Helwani noted that both fighters are expected to sign deals with their new promotions in the near future. Johnson and Askren have both acknowledged the news on their Twitter accounts. ONE CEO Chatri Sityodtong wrote: "Please join me in welcoming the #1 pound-for-pound king, @MightyMouse, to ONE Championship! His extraordinary achievements speak for themselves, but I am most impressed by his character, his values, and his life story. #GOAT Thank you to @MightyMouse, @Benaskren, @ONEChampionship, @UFC, and @malkikawa for making the 1st trade in mixed martial arts history possible. 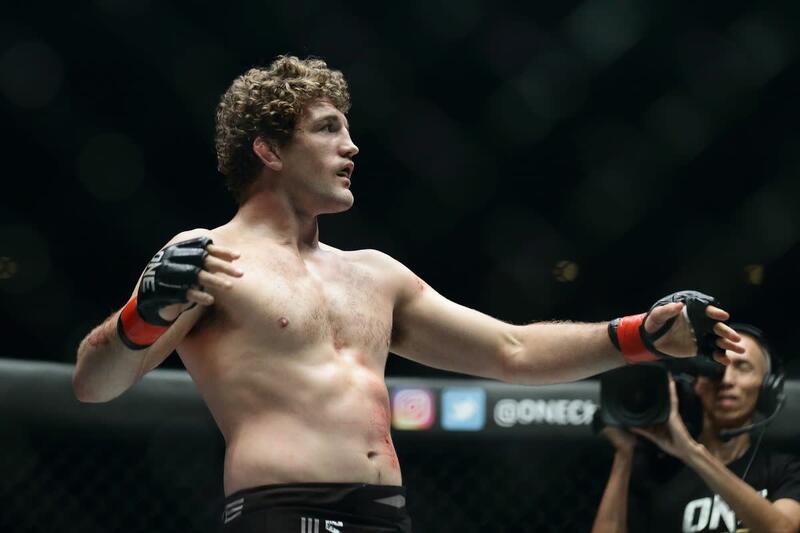 #gratitude"
Johnson is 27-3 with one draw in his career, while Askren is 18-0 with one no contest and is a former welterweight champion for ONE and Bellator. After breaking the UFC record for most consecutive title defenses, Johnson lost the flyweight championship to Henry Cejudo at UFC 227 in August. Helwani reported that "a plan was hatched" for Johnson to leave the UFC after his loss to Cejudo, but the UFC needed incentive to release him. Johnson's management team pitched the idea of the trade, and all of the involved parties ended up agreeing to it. Johnson's coach Matt Hume is also ONE's vice president of operations.